St. Paul is equipping children for musical enjoyment for life. In choir we carry out this goal by making music fun, as well as making sure kids are taught proper singing technique and musical concepts. We sing a variety of music while learning our role as worship leaders. There is also plenty of time for experimenting with beat, rhythm, and melody through music games and instruments. Music is a whole body experience so we love adding movement as we engage body, mind, spirit, and voice to create beautiful sounds together for the glory of our Lord! 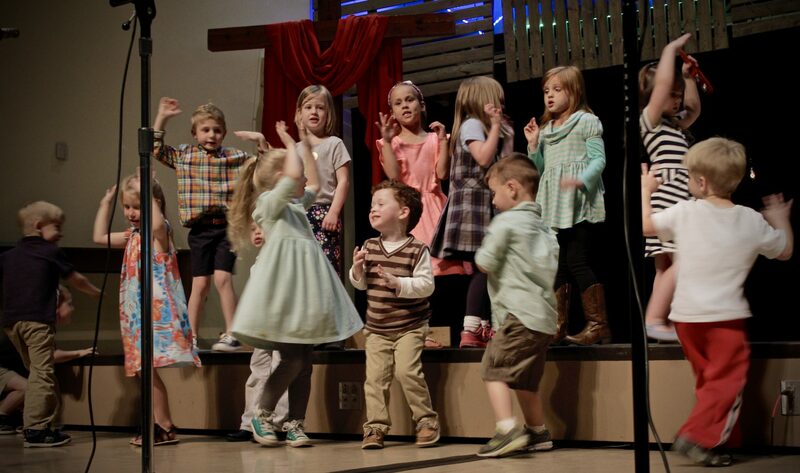 Our graded choir program consists of three choirs for children from age three through sixth grade. All three choirs rehearse on Wednesday evenings during the school year. For specific questions contact Karla Temple, Children’s Music Director, at karla@stpaulchurchky.org. Children’s Choirs are a part of Wesley Night, Wednesday night dinner and activities. This is not a performing choir, but rather a music readiness class much like Kindermusic. Preschoolers experience the joy of music as they experiment with different sounds our voices make, learn about beat and rhythm, play instruments, and learn new songs. Movement and music games are also a part of the fun in pre-school choir! This choir sings in worship services from September through May. They also are taught basic concepts of proper singing and music making. They work on pitch-matching, tone quality, while also allowing time for musical exploration through music games and instruments. This choir sings in church monthly. Wesleyan Choir members learn effective singing technique, choral blend, music reading skills and a variety of choral anthems and hymns, as well as learning their important place in worship leadership. We also have fun with movement, music games and a variety of xylophones and rhythm instruments.